I'm pleased to report that the Ruth Walker Author Meeting this past week was a huge success. Ruth was engaging, witty, and pleased to address all questions related to her book, Living Underground. Personally, as a wannabe/undeveloped/amateur author, I like to hear the behind the scenes stories about how the story came to paper. How long it sat in a drawer, or how many times it was re-written, or shopped around to publishers etc. It makes it feel like writing is something I could do if I could actually get around to putting some ideas to paper and taking the time to write. I have this image in my mind of the Ruth Walkers of the world (and the Stephen Kings, and the Margaret Atwoods) that they get an idea today, and by the end of the month they have a finished pile of manuscript pages that they send off to other people to correct or edit and then they are done. Their final published book is so wonderful that they make it seem so easy. I like to hear that they struggled with a character, or with a plot twist, or with making the transition between one scene and another. It makes it all seem so achievable from my point of view. I had the same feeling when I read King's "On Writing". How many re-writes some stories go through. Or how many stories never see the light of day because he feels they are just not good enough. Again I'm super-pleased to report that the Ottawa Book Club has our first "Sponsor/Perk". Jon Phillips is the editor and publisher of Bookmarks magazine. A book-geek review magazine that I have been reading since their first issue several years back. They do book reviews, author interviews and profile different authors of various genres every 2 months (six issues per year). It is the magazine I use to help me decide what to read next. The magazine website is here www.bookmarksmagazine.com­ maybe a great idea for a Christmas present for someone who loves books! 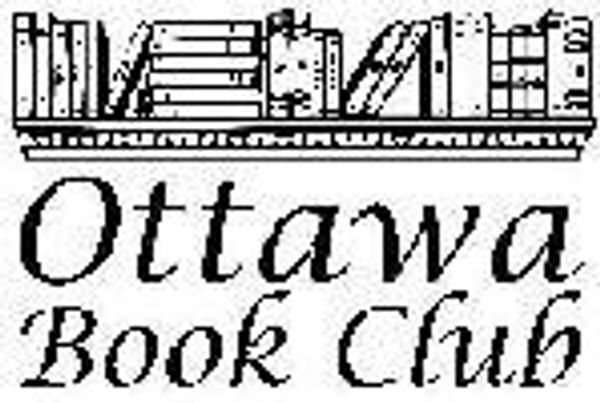 Jon has been generous to offer members of the Ottawa Book Club a discounted rate on a subscription to their magazine! But first, I need to know how many would be interested as the discount increases with more members using the perk. The “normal” Canadian subscriptions rate is $37.95 for 1 year. If we get 10 subscriptions together the cost would be $34.95. More than 20 would be $31.95 and over 30 would be $29.95 per year. Please check out the Bookmarks website for more info on their mission. Or if you are interested in a subscription please do NOT apply online on their website yet or you will pay full price. Just send me a note at letobook@yahoo.com so I know what subscription rate we can qualify for. Then, when we know the discount, I will send interested people a promo code they can plug into the website when they register. Please help your fellow book-lovers get this discounted rate and pass along this message to anyone (friends, family, coworkers) you think may be interested in a subscription. Just e-mail me back with your name and the number of subscriptions wanted.